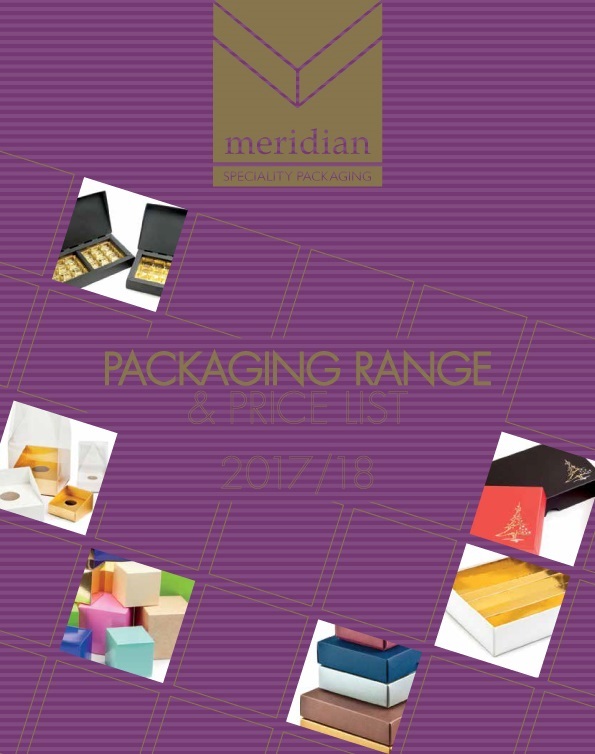 Meridian is the UK's premier custom box manufacturer and stock packaging wholesaler for chocolate gift boxes, confectionery packaging and film bags. 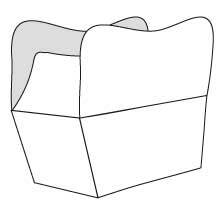 Our Range also includes packaging ideal for use as jewellery boxes, soap and candle packaging and other gift items, for use both as retail or promotional packaging. A true specialist in premium quality food packaging, we supply one of Europe's widest selections of stock chocolate boxes, direct food contact film bags, transparent boxes and cartons and other confectionery packaging, and packaging materials. Our reputation for excellent customer service is based on a dedication to valuing every customer and working tirelessly to make the process of designing or buying packaging easy. This commitment is matched by an ability to supply items from stock within one working day of order for UK customers and within 2-5 working days for most of Europe and to re-stock quickly through our in-house manufacturing facility. This has helped many customers to grow without needing to carry high levels of stock. We know chocolate packaging very well - both in terms of stock products and bespoke manufacturing - and this has helped us to develop both packaging and a supply system that offer unparalleled quality, price and short lead-times. Most of our packaging is versatile and can be used for jewellery, gift products, soaps, candles, cakes and other fine foods, small items of clothing, glassware and crystal products, and more besides. We offer a core range and constantly add innovative and colourful designs to compliment the traditional. We also offer packaging designed specifically for the key seasonal peaks within confectionery: Valentine's Day, Easter and Christmas. Finally, we offer both in-house manufacturing and sourcing services for anything we don't offer on shelf, whether premium and decorative retail packaging, plain or printed polypropylene bags or cellophane bags, glassine paper sheets or shapes, cushion pads, tissue paper, gift wrap, paper carrier bags, other food cartons or direct food contact materials and more. For more information about the bags that we can offer click here to access the information pages on bags here on our website. 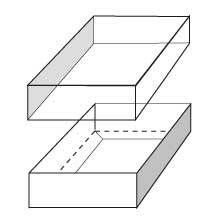 Our semi-rigid fold-up boxes are sold as two separate units - fold-up bases and fold-up lids. These shallow gift boxes are designed to create a strong, exclusive looking package which can be dressed with ribbon or other accessories, gift wrapped, tissue wrapped, elegantly personalised with your brand logo or imagery through our hot foil blocking service - or fully customised using our custom printed box design service. 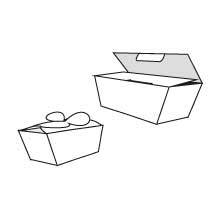 These boxes rival rigid boxes for the quality of look and feel but offer a cost saving both in terms of unit price and shipping costs. 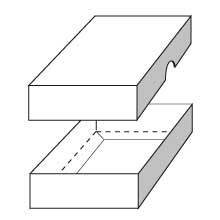 Additionally, the items are usually despatched flat so the boxes save space in your storage area (we also can assemble them for you through our hand finishing service if you wish). We offer a wide range of colours in our standard base and lids as well as a classic "wibalin" finish which offers an embossed texture in a range of traditional colours, well-suited to the crystal, silverware, glassware, small china, lingerie, or classic gift markets, as well as the traditional confectionery and chocolate trade or hotels or hospitality inudstries. Don't be put off by the sizing descriptions of our stock items: they are based on a strong heritage of supplying leading confectionery retailers and as such are referred to according to the range of standard vacuum-formed chocolate trays we also supply - so for instance, despite its name, a 48 Choc Base and Lid Box would be ideal to pack a high quality cashmere sweater. The smallest of the bases and lids, notably those described as "2 Chocs", are used extensively as wedding favour boxes, and can be personalised with a message from the bride and groom or simply elegantly dressed with ribbon. We offer transparent (PVC) lids to fit all of our standard fold-up bases, so you can turn an elegant box into a display for your product. Ballotin cartons (sometimes called ballotin boxes) are elegant, single piece cartons designed for simple product insertion and they are a perfect canvas for creative packaging decoration. The word "ballotin" originated in the French language, meaning "small package of goods". The design of the box is credited to Louise Agostini, the wife of Jean Neuhaus Jr, in 1915. The small carton offered a balance of attractiveness and practicality which is an ideal example of packaging serving two of its key functions (protection and presentation). The idea was that more elegant and flamboyant chocolates and the newly invented pralines needed to arrive in the home as they left the chocolatier - something which wasn't possible using the traditional means of wrapping the chocolates in paper. Meridian is the foremost manufacturer of ballotins in the UK, offering a wide range of sizes, colours and finishes. The chances are you will have handled one of our ballotins in the past. Although originally designed for use with chocolates, and fudge, ballotins can be used as wedding favour boxes (particularly our elegant 2 Choc Butterfly style ballotin) with sugared almonds or other favour gifts. The larger sizes can also be used for soaps, candles or other gifts. Our standard range comprises classic metallic finishes which remain the heart of the ballotin worldwide. We also offer a colour range comprising many different colours suitable for any occasion, as well as ballotins in specific Easter colours, and a range of premium ballotins. We even offer transparent ballotins for slightly different products or those moments when you want to show off the contents entirely. Our sizing offers an indication of the contents intended to be packed in each ballotin carton. As well as shallower ballotin cartons designed for a single layer, which are indicated by clear content specification using 1 Choc, 2 Choc, 4 Choc, 6 Choc sizes, we also follow the traditional approach of offering ballotins designed for a specific weight of chocolate: 100g ballotin cartons, 125g ballotin cartons, 250g ballotin cartons, 375g ballotin cartons, 500g ballotin cartons, 750g ballotin cartons and 1000g (1kg) ballotin cartons. We offer plain and printed polypropylene film bags, ideal for direct food contact applications including chocolate, fudge, sweets, truffles, pralines, dried foods such as nuts, pasta, biscotti biscuits, and much more. These bags are also ideal for over wrapping and presenting mini jars, candles, soaps, trinkets or other confectionery gifts. We also offer stock printed paper carrier bags which complete the purchase experience with an elegant carry-home, which can also be personalised with your retail branding or for an gifting event. For more information on our range of bags - please click here. Clear packaging offers an opportunity for the product to do the talking - perfect for many premium or even novelty gifts. As well as stocking a number of standard clear/transparent packaging products Meridian manufactures an extensive range of transparent (PVC) packaging for many applications. If you're looking for Inspiration, follow the links below or click here for some packaging ideas. Our site navigation is designed to be easy to use and you can search our huge array of wholesale UK gift packaging by Collection, Season, Occasion, Style, Typical Contents and many other ways. We offer excellent bulk packaging discounts for packaging re-sellers or other wholesalers as well as quantity or order value discounts automatically offered at checkout.